It’s officially engagement season and we at ‘RSVP to me‘ couldn’t be more excited for all of you lovely couple’s who are ready to take their relationship to the next level. If you’re other half [finally] decided pop the question, congratulations! We’re so happy for you. 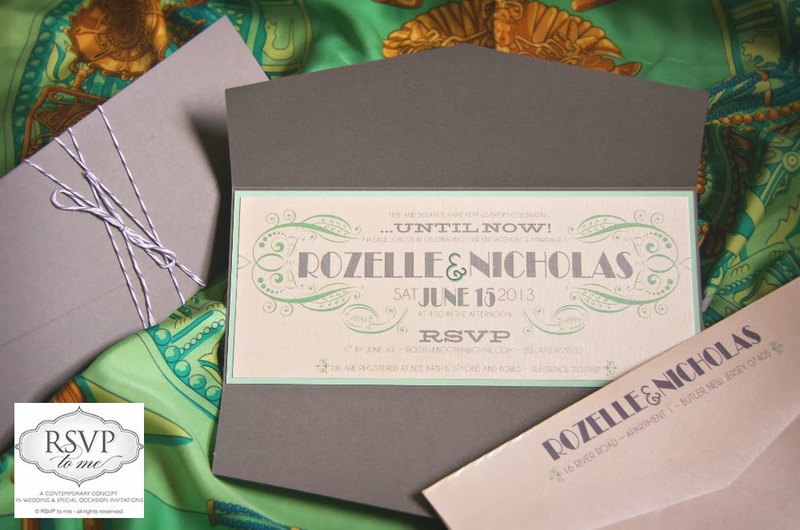 Of course you already know that ordering wedding invitations is a task on your wedding to-do list, but there are quite a few other stationery must-haves that can be overlooked. Today we’re sharing wedding stationery to cover every step of your engagement! Celebrate your upcoming nuptials among family and friends with an engagement party! Not only will guests be so happy to congratulate you in person, but it’s also nice for both sets of families to get together, socialize, and to get to know each other. After all, you’ll be spending plenty of time together. Officially announce your engagement to your family and friends with a custom Save The Date! This stationery is a great way to ask guests to mark their calendars ahead of time to take time off of work. 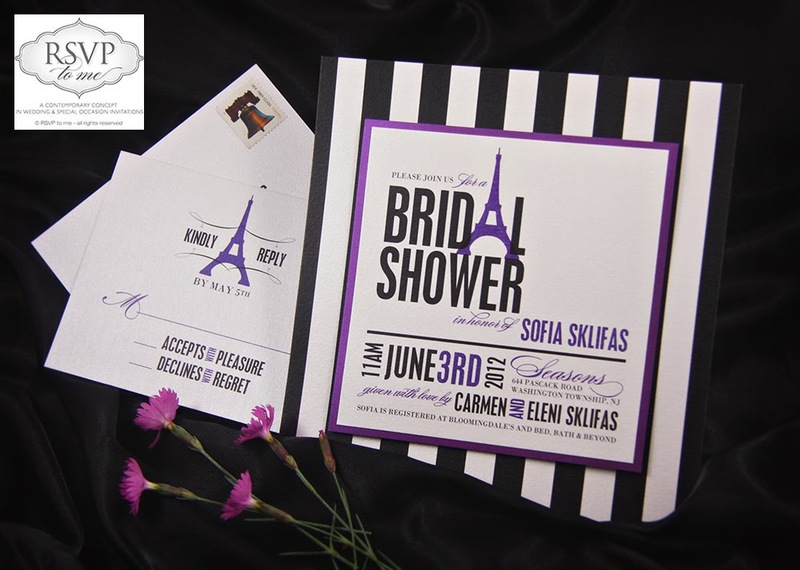 Since it’s the very first piece of mail they’ll receive, have fun with the design and set the tone for your big day, just don’t forget to include the basics; your names, wedding date, city and state of where the event will take place, and the phrase “formal invitation to follow”. Bridal showers are a great way family and friends to shower the bride with love and items she [and her hubby] needs for their home. Typically hosted by the maid of honor, bridesmaids and mother of the bride, the theme can be as traditional or modern as you like. Invite your lovely ladies with custom bridal shower invitations that make a statement, while keeping the bride’s tastes and personality in mind! Invite your wedding party and close family members to your rehearsal dinner. 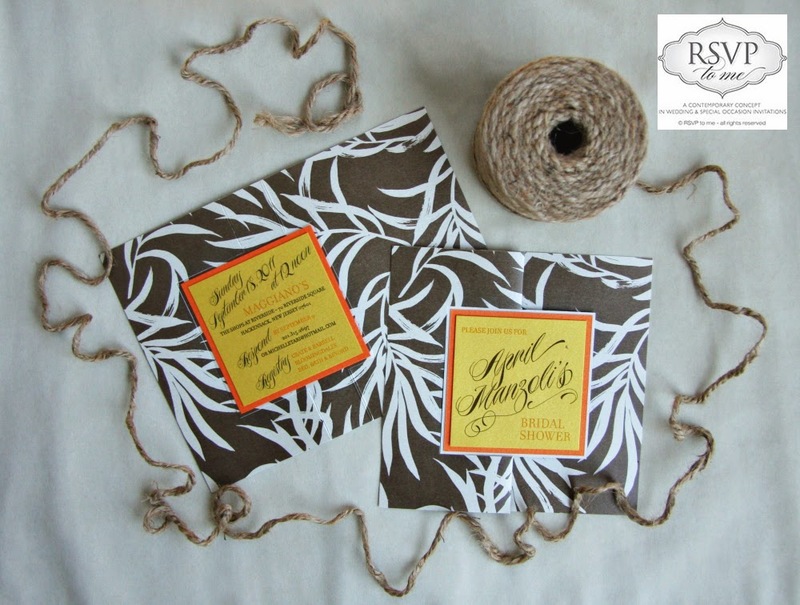 Traditionally hosted by the groom’s parents, your rehearsal dinner is great time to relax, laugh, and enjoy an evening before saying “I Do.” While the invitations should coordinate with the overall formality of your wedding, it’s also another opportunity to have fun with the wording and overall design. 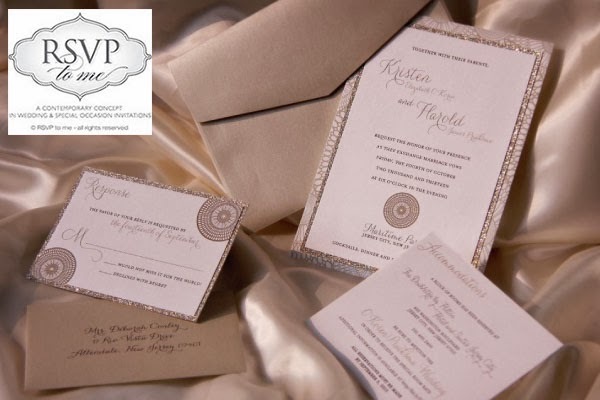 Like selecting your wedding gown, choosing your wedding invitations is an exciting part of the planning process as it begins to make the wedding day a reality. This essential piece of stationery is the ONE and ONLY chance to make an everlasting impression with your guests. 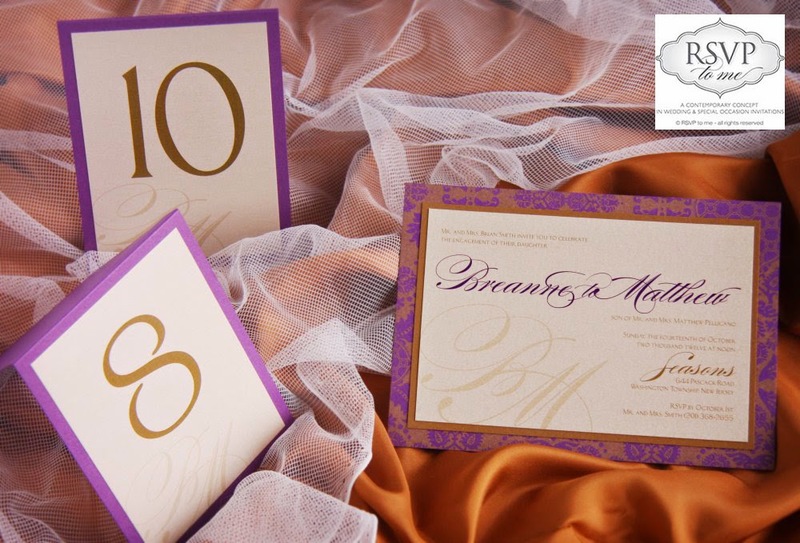 Wedding invitations are also one of the most important details for your wedding. They set the tone and give a glimpse of what to expect. 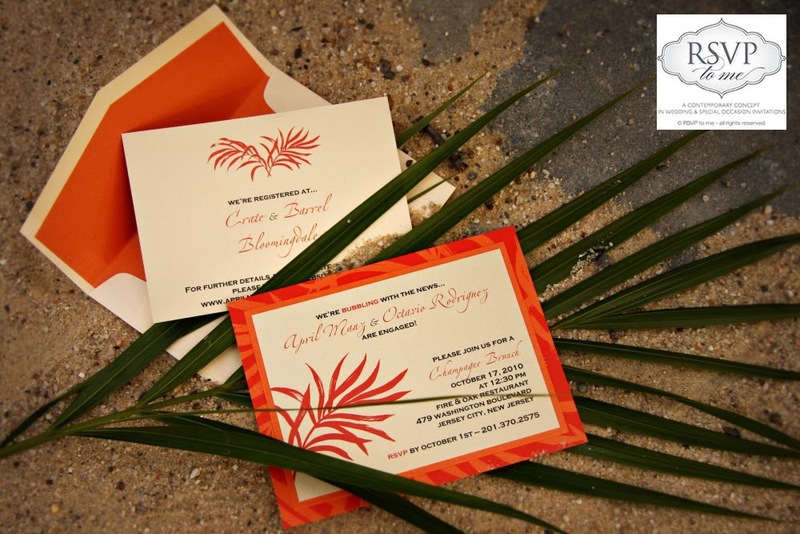 As an invitee, you would hate to open an invitation that reflects a casual event, just to find out upon arriving that the wedding is in fact a formal affair. 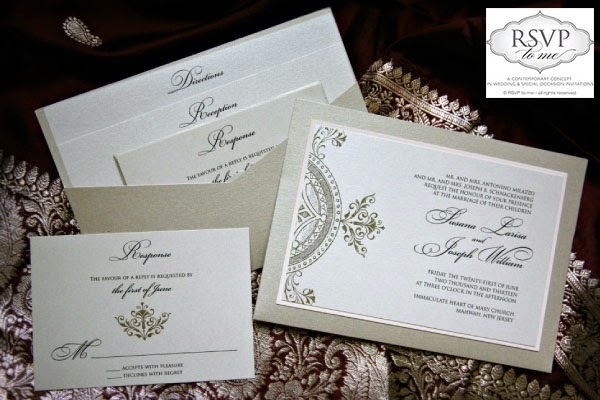 Check out our five things you need to know before ordering your wedding invitations here and don’t forget to tie everything together with custom wedding day stationery. 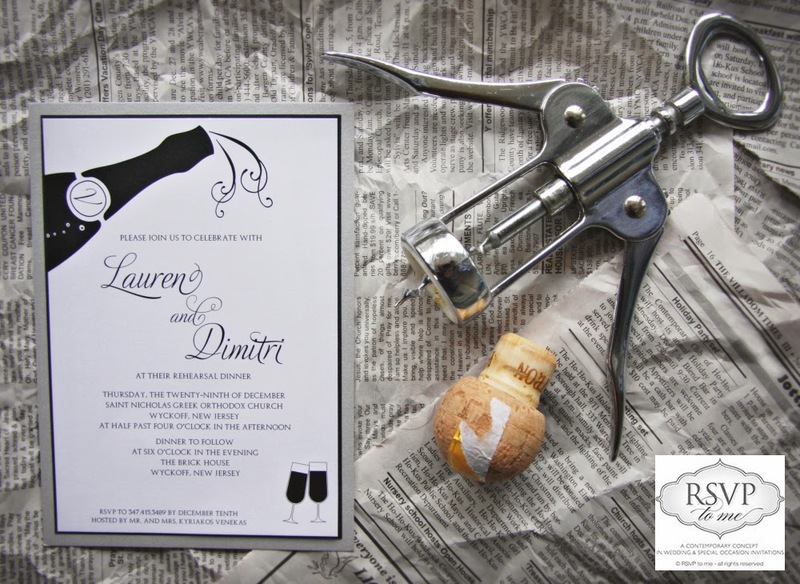 From custom save the dates and bridal shower invitations to wedding invitations and everything in between, ‘RSVP to me’ can design a style that fits the bride [and groom’s] personalities. 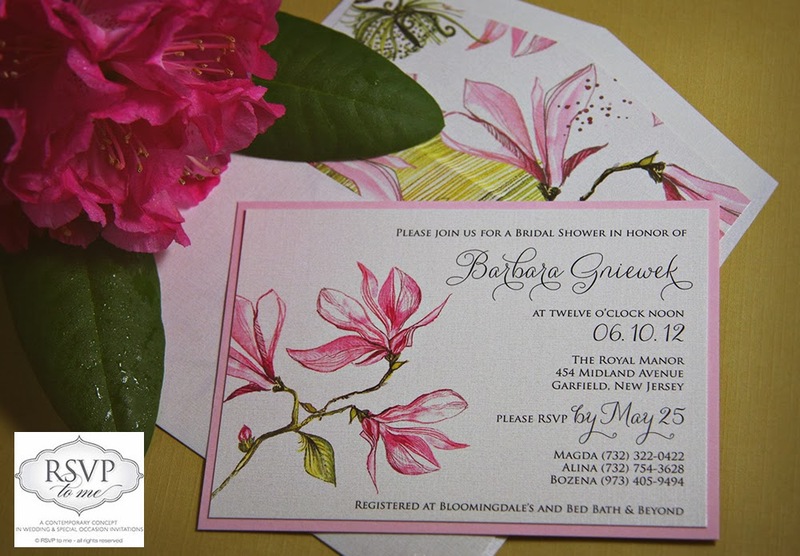 For more information and to view more our invitation gallery, visit us at www.rsvp-to-me.com.